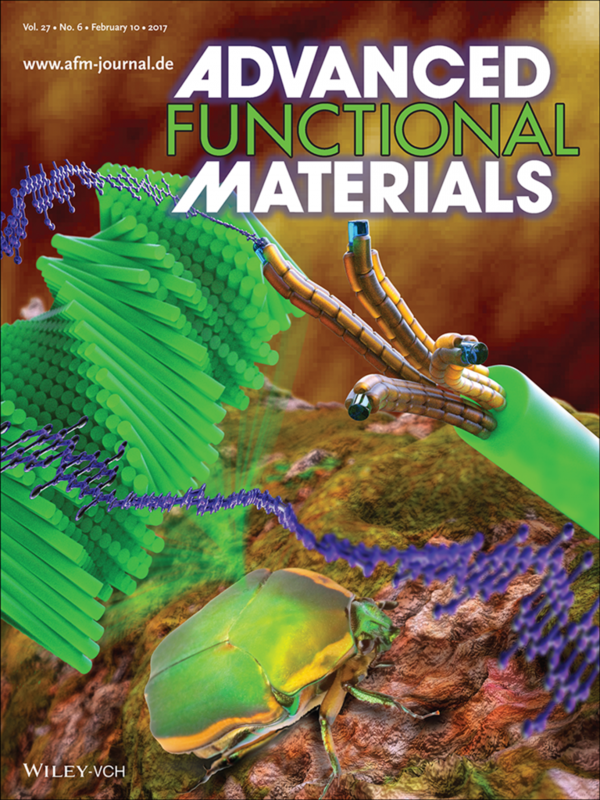 On the Cover: Horacio D. Espinosa and co-workers present a nanoscale experimental – theoretical methodology to reveal the hierarchical structure and properties of the exoskeleton of arthropods in article number 1603993. As a case study, they characterize the helicoidal fiber structure present in the beetle’s elytra and identify the fiber anisotropic elastic constants. Ruiguo Yang, Alireza Zaheri, Wei Gao, Cheryl Hayashi, Horacio D. Espinosa. 2017. Exoskeletons: AFM Identification of Beetle Exocuticle: Bouligand Structure and Nanofiber Anisotropic Elastic Properties. Advanced Functional Materials 27(6). Ruiguo Yang is assistant professor of mechanical and materials engineering.